There are LESS THAN 50 DAYS UNTIL THE MID-TERM ELECTIONS! Time to get cracking! Good thing you're reading this newsletter; you'll be able to fill your activism calendar, as well as appreciate some of the good work our folks are doing out there. Read on to learn about opportunities to CONNECT with others and AFFECT our political landscape in the coming months - click the links to RSVP to each action or event. The momentum is building on so many levels - BE A PART OF IT ALL! Who Doesn't Like Statistics Like These? While Trump may still be popular in Republican districts, members of Congress taking away healthcare are not. Here is another fact that was shared: Democrats will be outspent, which means that Dems need to concentrate on the ground game: canvassing, phonebanking, and texting voters. This means it's time to get involved! Minuteman Indivisible has launched its weekly call-in meeting to identify events and opportunities on tap each week for our members. Whether it's texting, postcarding, rallying, lobbying, phonebanking, or fundraising, we have you covered with a menu of options to fill your calendar. can be found in an email sent to members on August 30. Can't find that message with Zoom instructions? Write to info@minutemanindivisible.org to receive it again. Read the Indivisible explainer and sign up for the actions contained in the document; the actions include phone banking to voters in other states and calling our senators to express support. Text to people in other states to encourage them to contact their senators. Often Resistance Labs is organizing texting to Maine. Check out the Boston Red Cloaks and share their memes. If you are interested in joining, use the “Send Message” box to find out how. 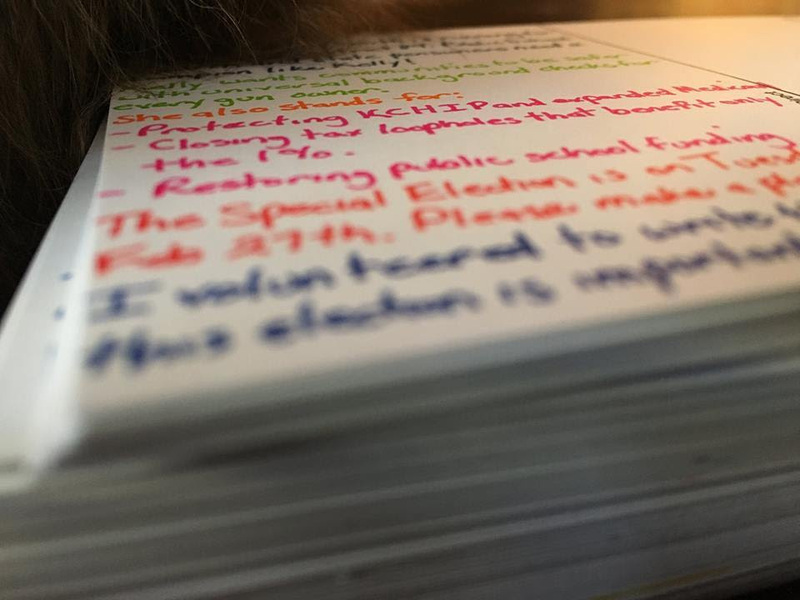 There's been research to show that handwritten postcards really do make a difference in elections. 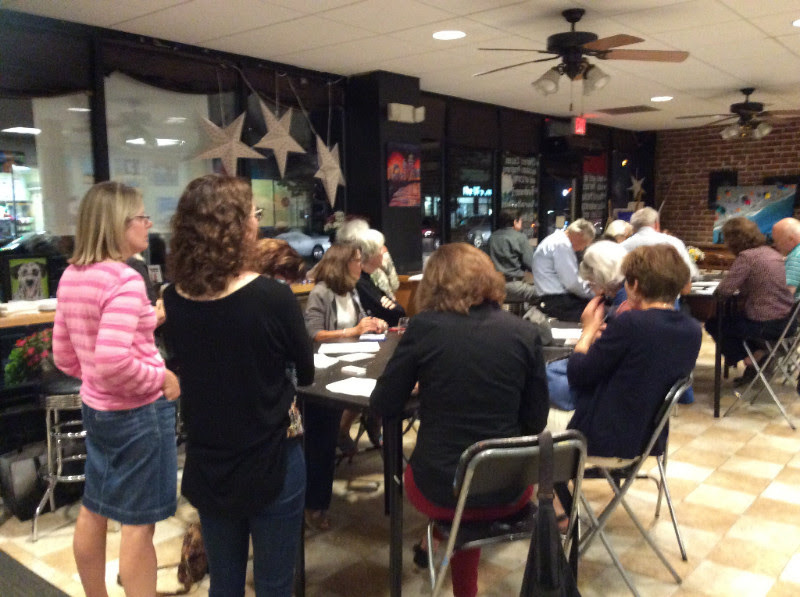 Join us this Tuesday to write for the latest campaign of Postcards To Voters. Bring a cash donation for supplies, or purchase a roll of 100 postcard stamps for $35 across the street at the Post Office just before. Send a quick RSVP email to elections@minutemanindivisible.org if you plan to attend. Contacting voters by phone is a tried and true method of raising awareness and identifying supporters and potential volunteers for candidates. This fall, making calls NEEDS to be on your to-do list. Often, you'll find yourself leaving upbeat messages on voicemail; sometimes you'll connect with a voter and find you've made a difference. The best part? You can do this on your own time! This week, sign up to phonebank for Mikie Sherrill, NJ-11. 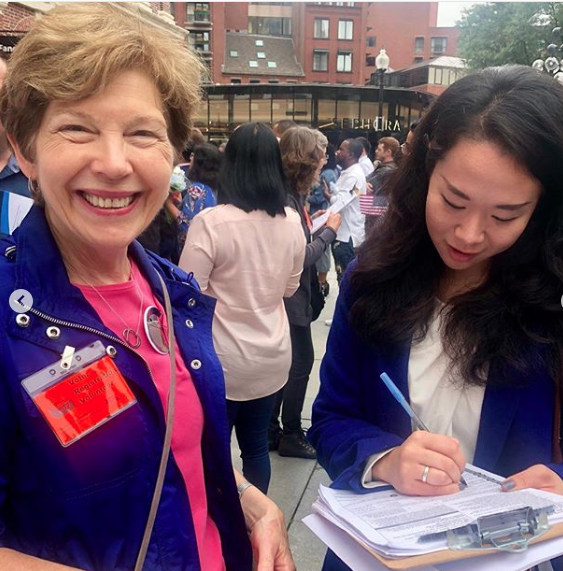 Be like Debbie, MI member with the big smile pictured here, and head into Boston on Thursday to register new voters following their naturalization ceremony. Last week, 150 new voters were registered!! Massachusetts Immigrant and Refugee Advocacy Coalition (MIRA) will train you. Read about it here, and RSVP via Eventbrite. Join our friends at LexPride for an evening of phonebanking for YesOn3 at First Parish in Lexington. RSVP on their Facebook page or via email to learn more. 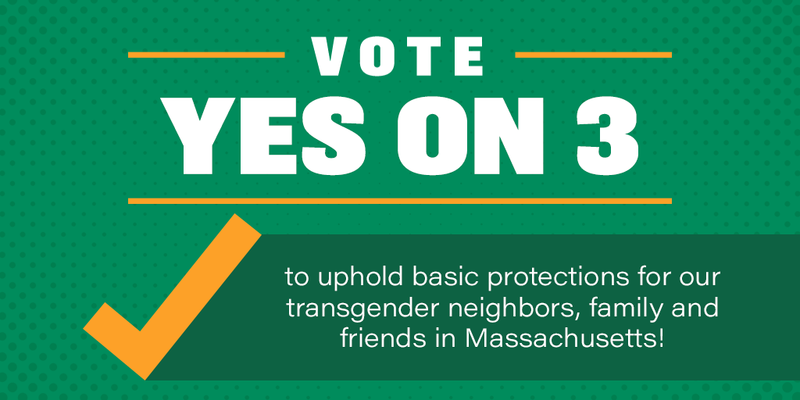 Would you like a YesOn3 yard sign? Fill out this form to request one! As part of his Open House series, Rep. Jay Kaufman will have a conversation with the Boston Globe's State House bureau chief, Frank Phillips. Both Kaufman and Phillips are leaving the State House and will reflect on changes over the past quarter century, as well as the inherently conflictual and complementary roles of journalists and politicians. Successful Fall Kickoff Last Week! We had a nice crowd at ArtLounge last Thursday evening, where we heard about our summer successes and talked about what's needed from our members for ACTION this fall. While listening, drinking, and socializing, we wrote 75 postcards for the Democratic Congressional candidate in Ohio's 1st district - not too shabby! Help us decide which books to discuss this fall. You can share a short summary of books you've read recently or just come to hear which books we've enjoyed and which ones may not be worth your time. New members are always welcome! 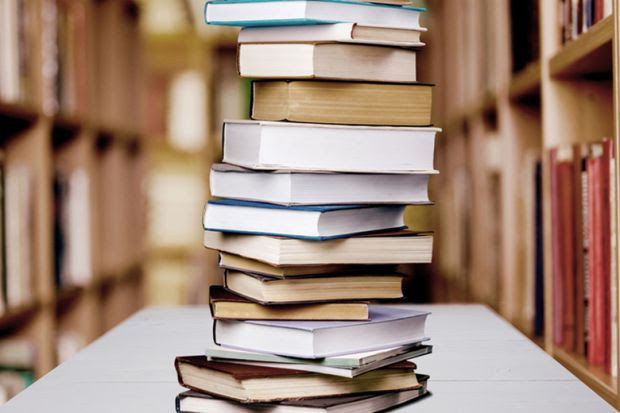 You can recommend books to read or let us know you'll be joining us using this link. Come meet Colin at a reception sponsored by Force Multiplier, with special guest former MA Governor Deval Patrick. 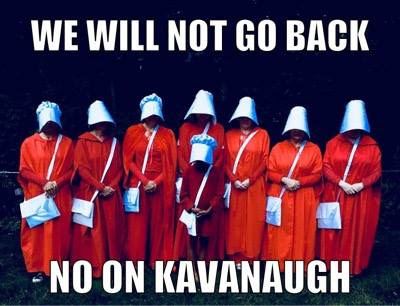 RSVP and donate here. 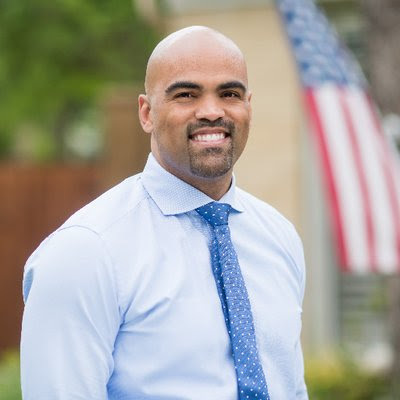 Colin is a North Dallas native, a civil rights attorney, and a standout athlete who played linebacker for the Tennessee Titans. Since earning his law degree, he has worked on voting rights with Wendy Davis's campaign for Texas Governor, and as a voting rights litigator. Most recently, he served in the Department of Housing and Urban Development. His opponent Pete Sessions is the Chair of the House Rules Committee and one of the most conservative House Republicans, voting with Trump 98% of the time. 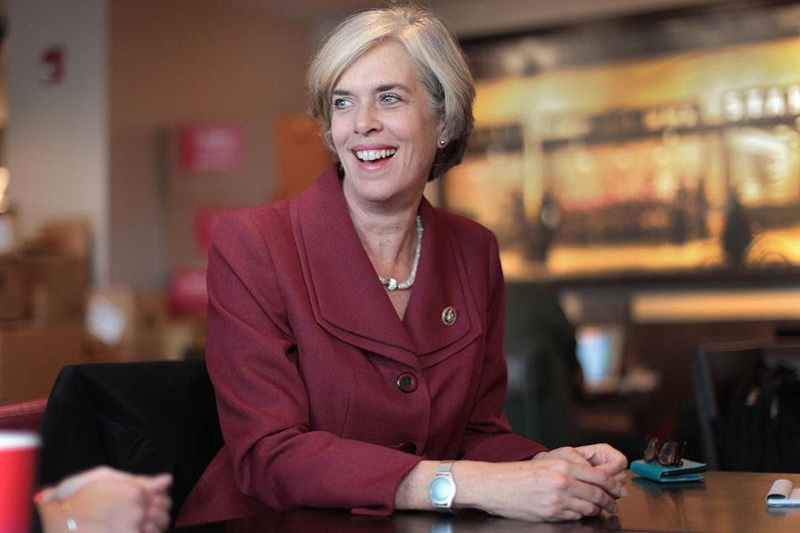 Cook Political Report rates this race a toss-up.He has been endorsed by DCCC Red to Blue. We've had a bunch of new folks sign up on our website recently - WELCOME! We hope you find activities and information here that helps you participate in our democracy. 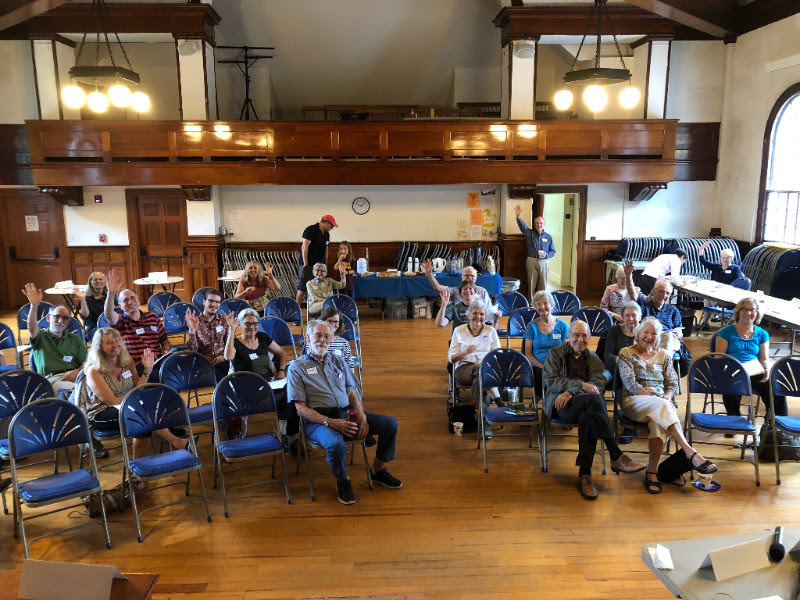 Be like these folks pictured here, who spent their Saturday morning rallying with the Lincoln Town Democratic Committee to learn how to plug in to the action.